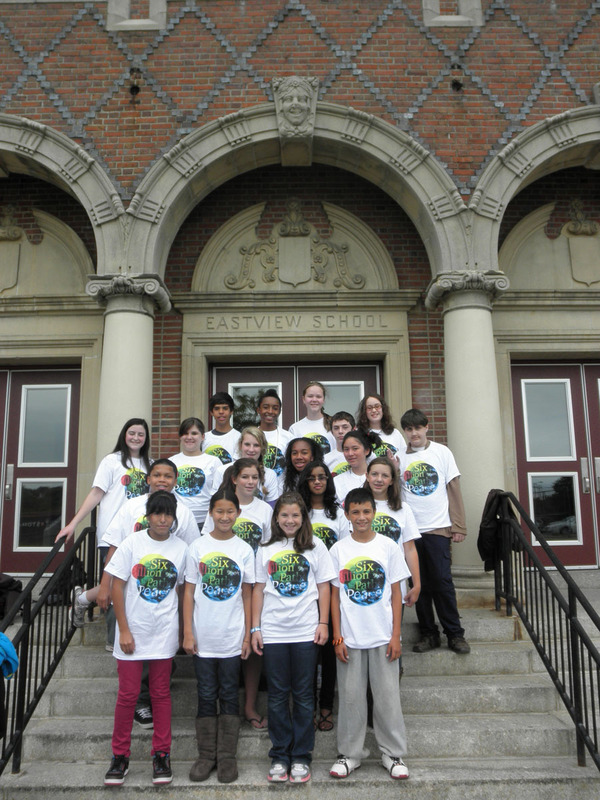 This was only one of the paths that were presented on September 16that the Eastview Middle School by the Global Ambassadors. Each path more inspiring than the next. 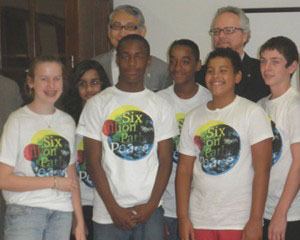 Every student beaming with enthusiasm, spoke about the Six Billion Paths to Peace initiative. 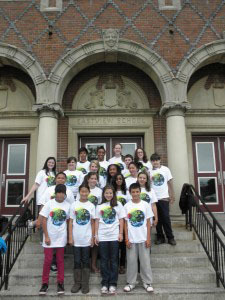 The Global Ambassadors’ program consists of approximately 50 students that have connected with other students in more than 26 countries through video conferencing. The Foundation has been supporting this program for over 8 years and the success has been phenomenal. What started as a small program has developed into a global endeavor. 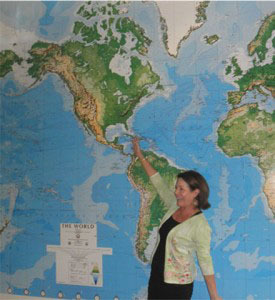 Jody Kennedy, Eastview Middle School Director of Global Ambassadors, provides a virtual stage for youth to share ideas, art, music, and poetry. 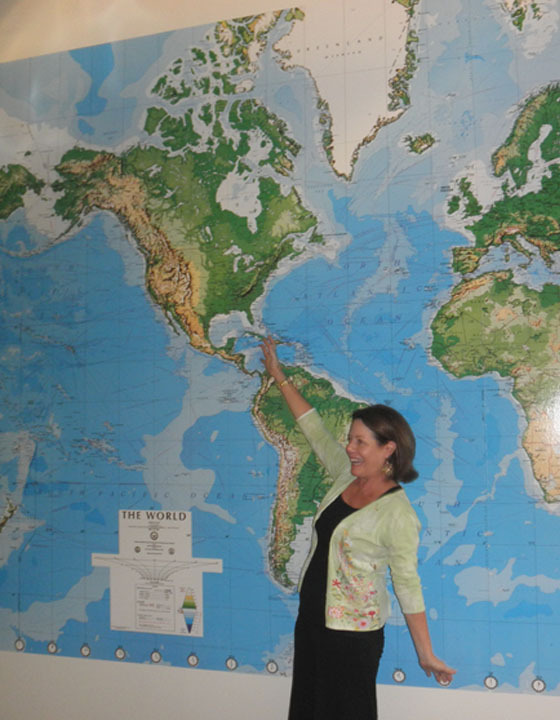 She pioneered live videoconferencing to promote a global, borderless classroom at Eastview. 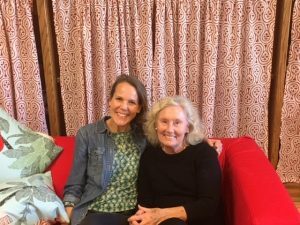 Jody’s expertise in interactive technology brings young people all over the planet face to face, in real time, to celebrate culture and art and a collaborative vision of humanity. All Ambassadors’ donned the Six Billion Paths to Peace t-shirts and inspired Principal Joseph Cloherty, Haru Inouye of the Foundation, as well as Superintendent Chris Clouet, who were among the many guests. Superintendent Chris Clouet emphasized the importance for Shinnyo-en to keep partnering with the Rotary and other organizations to help build a strong and healthy White Plains community. Many of the students thanked the Foundation for their support, both in terms of their grant, as well as for inspiring them to reflect upon peace during their service activities.